Apple’s HomePod is the company’s attempt to break into the smart speaker market that seems to be largely dominated by Amazon and Google. Now Apple has had success in the past in terms of disrupting the market, but it seems that the smart speaker market is one that Apple could be struggling in. 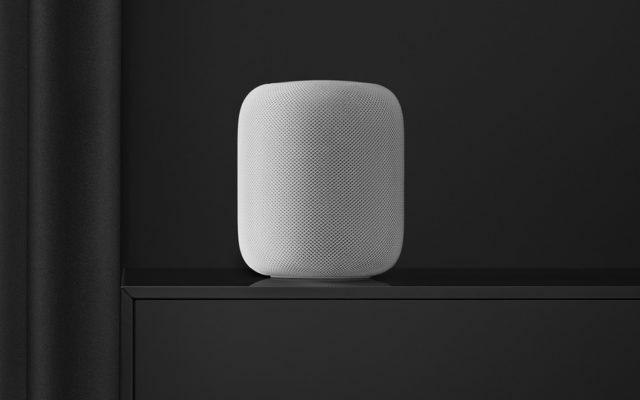 According to data from Strategy Analytics, it seems that the HomePod only commands about 4% of smart speaker sales in the US. This is versus the competition such as Amazon who commands over 50% of the smart speaker sales, while Google more or less takes home the rest of the sales. For example both the Amazon Echo and Echo Dot make up for 44% of smart speaker sales alone. Apple had attempted to position the HomePod as a premium speaker, which unfortunately based on these stats doesn’t seem to be working the way Apple had hoped. Not to mention various tests have found that Siri doesn’t perform quite as well compared to the competition. There are rumors that suggests that Apple could have a cheaper version of the HomePod in the works, but we have yet to see the rumored device launched. We’re not sure what Apple could do to improve their market share, but perhaps a cheaper HomePod could be a start.